The next step up in acrobatic and 3D flying. A re-designed wing allowing for much faster rolls while maintaining and improving on precision. Larger ailerons help, along with elevators with a whole new shape and size (yes, bigger too!). We cut back on the rudder, which actually made it more powerful gaining in rudder authority. Add this to a ligher all round design and you have an amazing kit. You have a Pilot-RC Extra 330Lx. 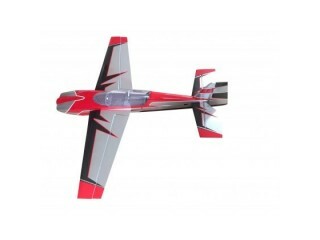 With the Laser, Pilot-RC has taken extreme acrobatics to the next level. No longer is the question can the plane do a manoeuvre, it is now if you can keep up with the plane! Insane roll rates, maximum agility, yet still in a light, friendly and beautiful package.